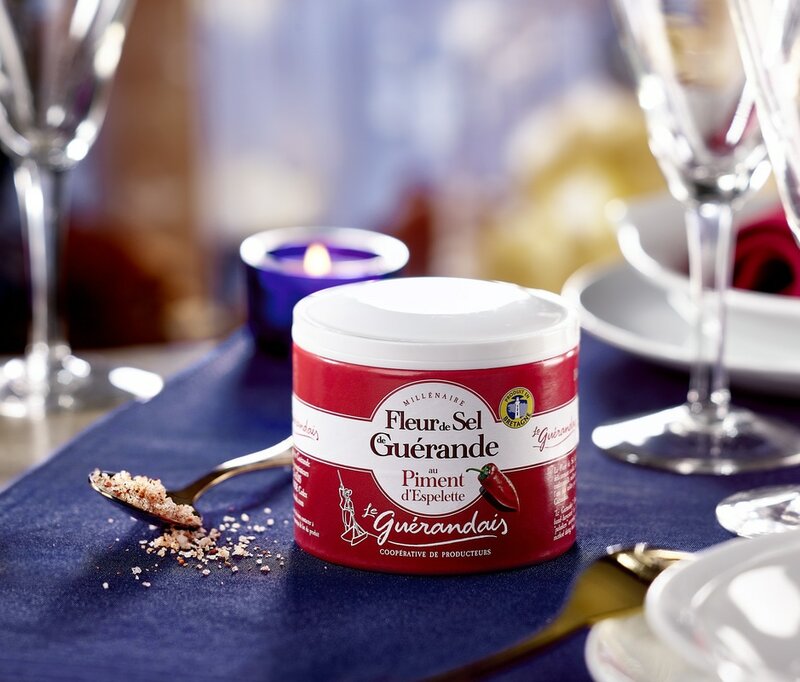 The Flower of Salt and the Espelette Pepper are two Star ingredients of France. They are both harvested by hand, in total respect of traditions, and are indispensable touches that change an ordinary meal into a culinary experience. This successful union creates a well-balanced and delicious mixture, with a mild spicy and smoky taste. Esthetically appealing with its warm peppery color, it will sublimate all your dishes and grills. The secret is to sprinkle it on any warm or cold dish, right before serving, to add a little extra touch to create an explosion of flavors: salads, eggs, fish, meat, pasta, rice, vegetables and Yes even desserts.